When pilots are being trained, they're often told "first, you aviate, then you navigate." That's good advice for flying and for driving a car (just substitute driving for aviation in the phrase). It's a reminder worth repeating to yourself if you find you are becoming distracted at the wheel. Your first and most important job is staying aware of your environment and keeping your vehicle where it belongs. In-car GPS is a potential distraction, and "distracted driving" as the safety experts call it, is a common cause of accidents. That said, you are a much safer driver overall if you use your in-car GPS wisely and follow some basic rules. You know where you're going. Being lost and/or being distracted as you try to see street signs and get oriented is a significant and dangerous distraction. You are rarely lost with a GPS in use, and even if you miss a turn, the GPS will recalculate the route automatically and get you where you need to go with minimal stress and distraction. You don't need to deal with maps. Handling and reading maps while driving is a feat we have all attempted, but it's a significant distraction. Even with a passenger doing the map reading and providing directions (this doesn't always go smoothly, does it? ), you are better off with GPS. GPS improves night driving safety. 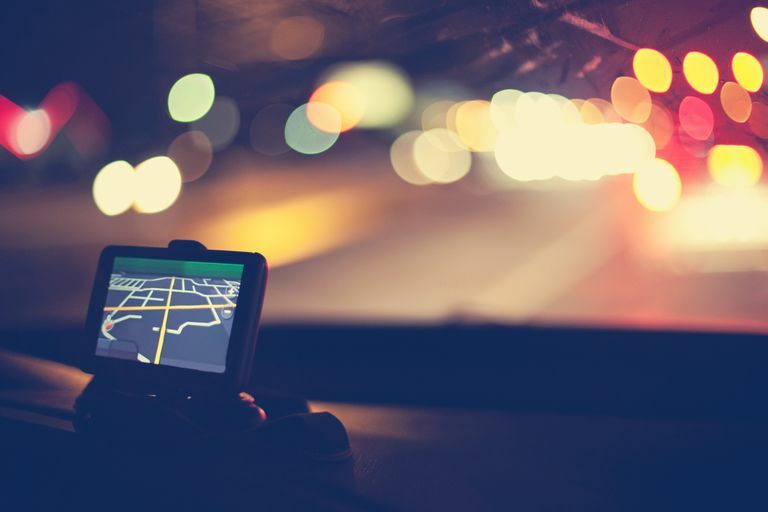 Not often discussed, but in our opinion, one of the best features of in-car GPS is the fact that it gives you better road awareness at night and in low-visibility conditions. At night, and especially during bad-weather night driving, a GPS will tell you about and show you an upcoming turn, ramp, etc. long before you can see it. On dark back roads, the GPS map will give you a preview of what's ahead. You know which lane to be in. One of the challenges of driving unfamiliar and busy multi-lane highways is knowing which lane you'll need for an upcoming exit. A good-quality text-to-voice GPS will tell you the correct lane well in advance. Safety features, such as hands-free calling, special help buttons that show you the nearest police, hospital, garage, and more. Be extra careful to avoid being distracted by the GPS if you are a beginner. That cool new touchscreen, all of those menu options – don't let them take your eyes and attention away from the road. Beginners tend to look at the screen much more than they should. Be especially conscious of following the tips below as you learn how to use your GPS. Don't program the GPS while moving. You will see this rule in all of the GPS safety manuals and start-up screen text, for good reason. Enter your destination before you depart. If you need to cancel or change a destination, pull over in a safe area and stop, or wait until you are stopped at a traffic light, and re-program. Some in-car GPS navigators have optional settings that will prevent address input while the car is in motion. Learn to rely on the voice directions. Rely primarily on the voice directions, with an occasional glance at the map (much as you would glance at the speedometer or another instrument) to confirm or preview turns. Mount the GPS away from important sight lines. It's usually easy to position your GPS low and near the dashboard and out of key driving sight lines. Just remember, first you aviate (or drive) and then you navigate as a second priority. It's up to you to use your GPS in a way that enhances, rather than detracts from safe driving.